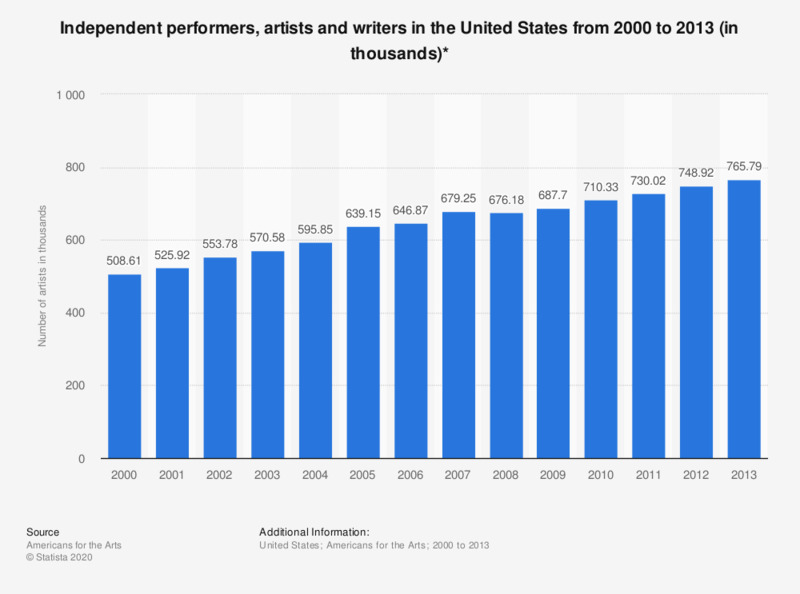 This statistic shows the number of independent writers, artists and performers in the United States from 2000 to 2013. In 2013, 765,790 people worked either part-time or full-time as independent performers, artists or writers. Included are solo artists without employees working part-time or full-time in their artistic trade.